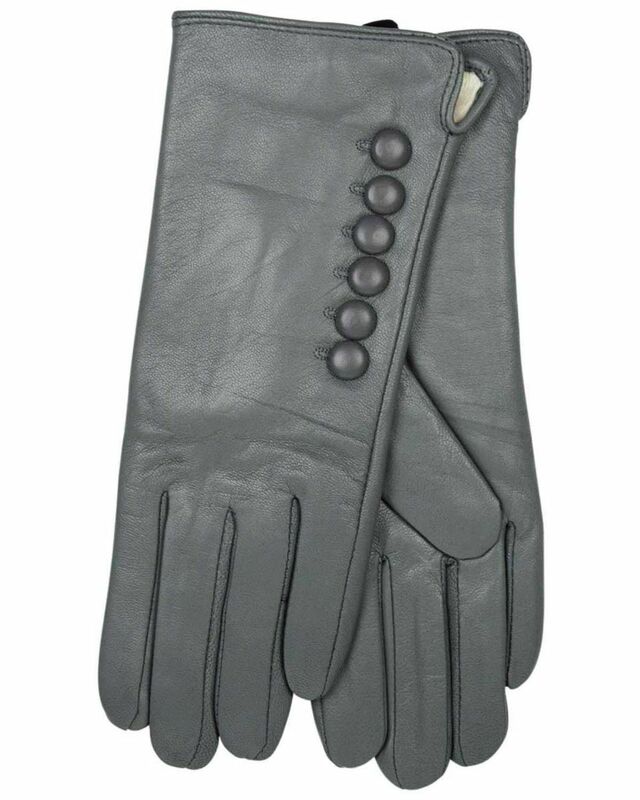 Leather button detail ladies gloves. One size. 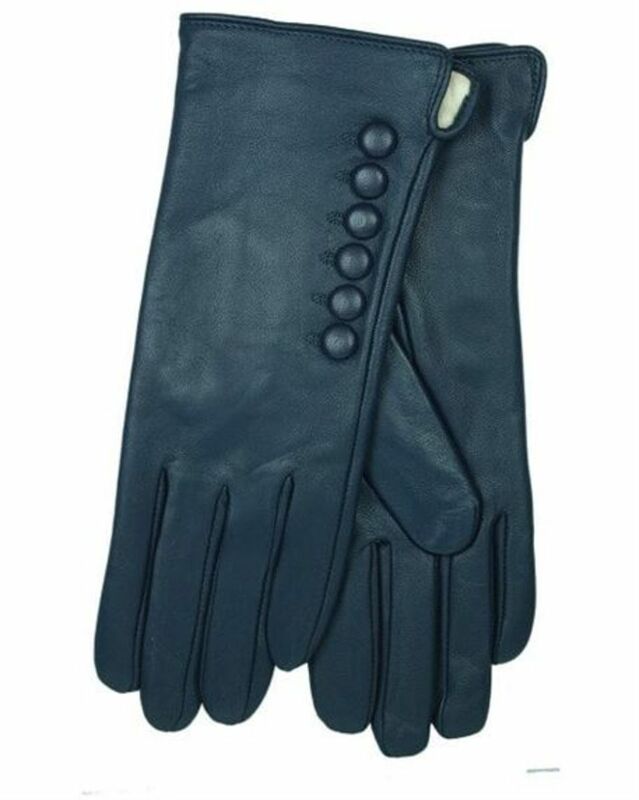 Berry,Grey,Navy. 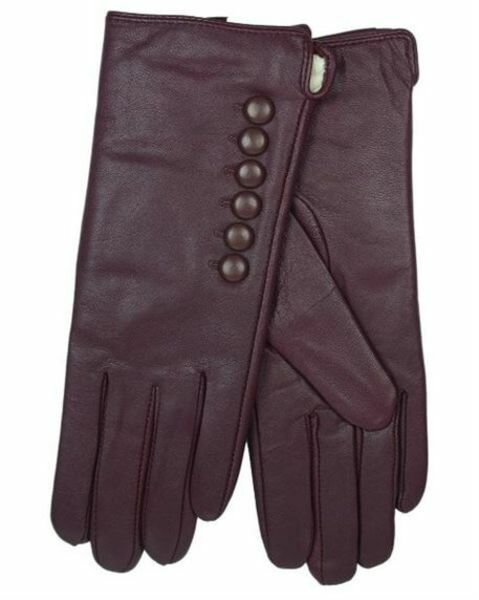 Stylish leather gloves with decorative button detail and warm fleece lining.